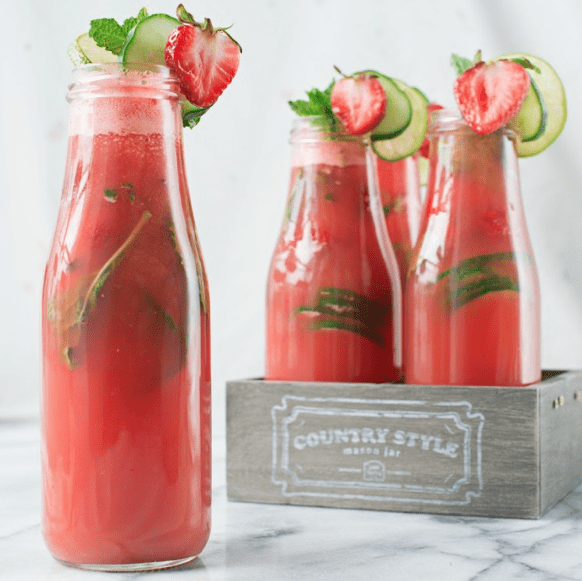 In a large high speed blender, add in the ginger, 1 handful of mint, lime and the chopped watermelon and blend until smooth. If all the watermelon doesn’t all fit in the blender, that’s okay. Once you blend what does fit, you can add the rest of the watermelon to the blender. Pour the juice into a strainer. 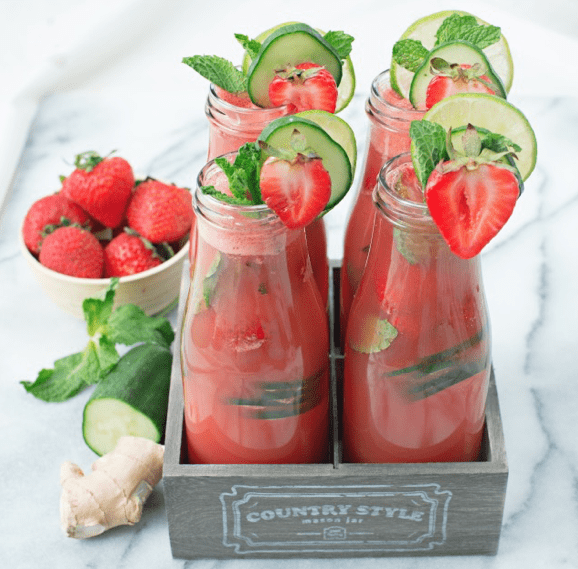 In a large picture or in a few jars, add in the remaining mint, cucumber and strawberries.